It has been an amazing year for underdogs. 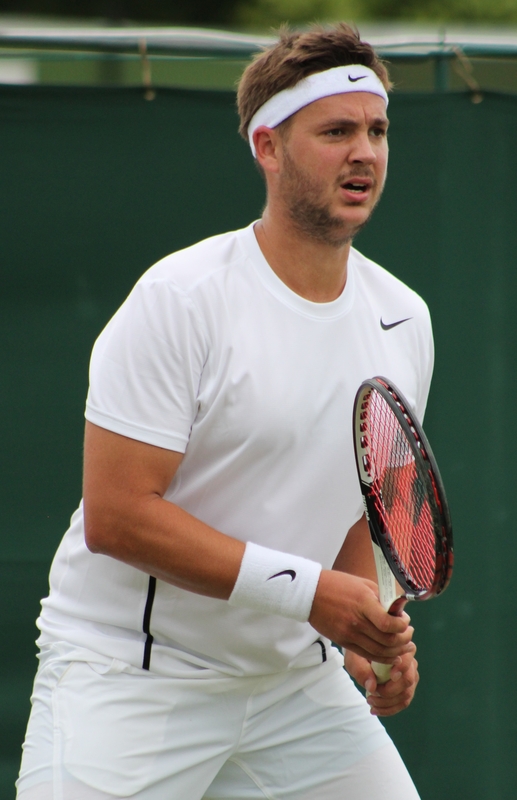 Leicester City won the Premier League, David Willet won the US masters golf, Flavia Pennetta won the French Open and now it is the turn of Marcus Willis. The Brit is heading into a game with Roger Federer after coming from nowhere and a world ranking of 772! It all began as a young promising player. He would often train with Andy Murray, but somewhere along the way he did not fulfill his potential. He claims lifestyle and bad choices brought him to the place he was at the start of the year. At the age of 25 it is not like he hasn’t tried. He has travelled Europe playing for club sides on his own money and credit cards. Though born in Slough, he grew up in Warwick and that is where he spends most of his time. He works as a coach and if he was not at Wimbledon this week, he would currently be running classes for Warwick Boat Club’s Under 8’s as well as a promising 14 year old. When a younger player he struggled with his weight and gained the nickname Cartman. You can still see his size slightly against the other players, but he has massively improved his physique from where he came from. His professional Tennis career this far has never passed Futures tournaments in far flung places such as Romania and at the start of this year he was at his lowest ebb. Contemplating giving up his playing career he was contemplating taking a job offer in Philadelphia, which would have started on June 13th. What changed was he met a girl.”It’s gotten a little bit out of hand. I’m enjoying it. Yeah, keep it rolling. I had been coaching at the Warwick Boat Club,” he explained. “I had options in Philadelphia. Nothing was dead set. But I met the girl, she told me not to, so I didn’t. I do what I’m told.” That girl, Jennifer Bates, convinced him not to give up and do his best in qualifiers for Wimbledon. Miraculously Willis found a new lease of life. He had to go through a rigorous schedule to reach SW19. Three pre-qualifying matches were followed by three actual qualifying matches, which he battled through. He reached the tournament as one of the lowest ranked players since 1995. His first game saw him play someone 728 places above him in the rankings. Ricardes Berankis looked bemused as Willis created opportunities and finished them with impressive passing shots. The left-hander produced the game of his life and captured the imagination of the British fans. No one saw this coming not even the betting tips sites. Willis represents everything a fan wants to see. They can relate to his failure, and then when he comes good they can live it with him. He is showing great optimism before the big showdown, “It’s possible,” Willis said “I have got a lot of improving to do still. It’s not going to be easy. It’s easy now because everyone is loving it at Wimbledon. I have to step away from here and I have got to improve. I have got to keep my head down and work. The moment I start getting complacent is the moment that I stay 772 in the world.” The story behind Willis reads like a film script and whilst it is unlikely he will get past Federer he has already contributed to what has been an incredible year for the plucky underdog.